Ben captivated the nation by building his woodland house on Channel 4’s Grand Designs programme. This is both a volume for the armchair enthusiast who enjoyed the programme and an inspirational guide for those wishing to build a similar structure. 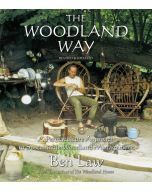 Beautifully illustrated with over 100 colour photos, this step-by-step guide shows how Ben built his home, hewn from his own woodland, for under £28,000. 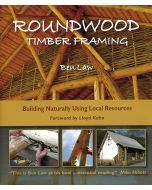 This step-by-step guide shows how Ben built his home, hewn from his own woodland, for under £28,000. It covers the basics of self-building and gives full details of the evolving design process, the identifying of materials, costings, project management and the actual building stages, from foundations and frames, through to interior features. Includes, a seven year update detailing the extension of the house, natural insulation trials, roundwood engineering calculations.